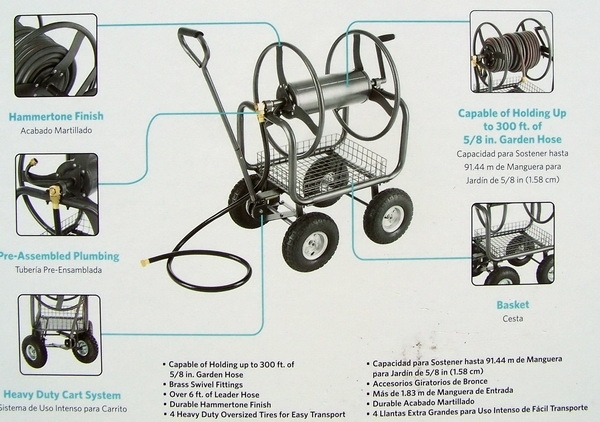 Heavy Duty 300' Garden Hose Reel Cart. 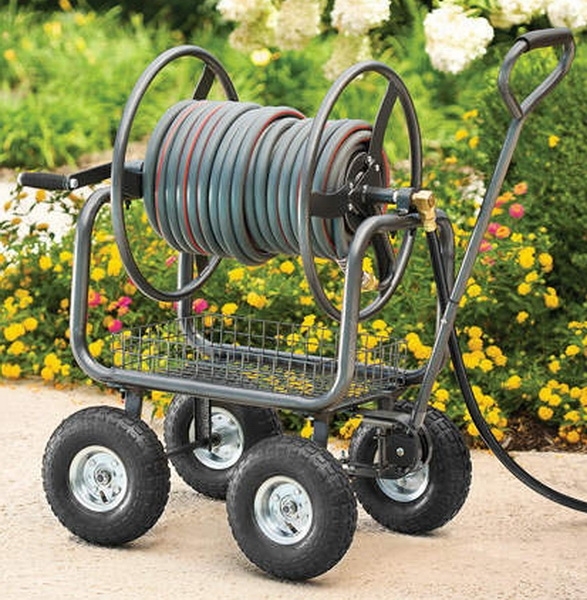 Holds 300' of 5/8" Standard Garden Hose! 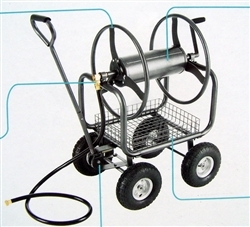 This is for one Steel Tube Hose Garden Reel Cart With Wire Basket. 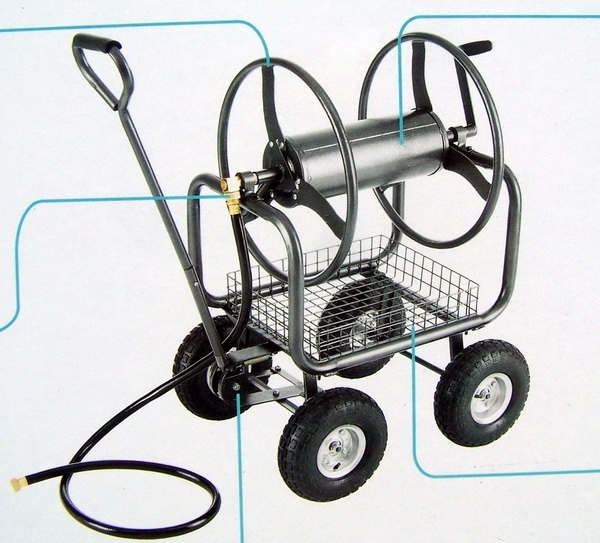 Make your work in the yard and garden easy this year with this easy-rolling and easy to load Steel Tube Hose Reel Cart. Durable Hammertone Finish Steel with Wire Basket. - Assembled dimensions: 40" × 21.5" × 40"